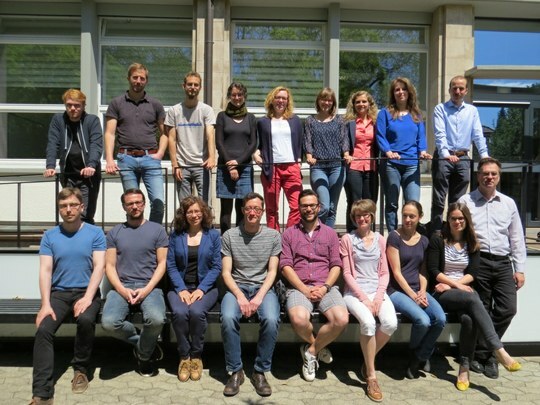 The SFB 948’s doctoral students work within a transdisciplinary and international research environment that methodically advances their research activities. The Integrated Research Training Group (IGK) provides research supervision within a structured but flexible academic programme, meeting the needs and special interests of its students. Prof. Dr. Barbara Korte and Prof. Dr. Ralf von den Hoff are heads of the IGK, and Dr. Ulrike Zimmermann is the coordinator. The IGK strives to effectively support and supervise PhD projects. It also increases the national and international visibility and involvement of its students, and imparts them with job-relevant skills to complement their strong academic education. Graduates of the IGK are fully prepared and qualified for their future careers in academia or related fields.